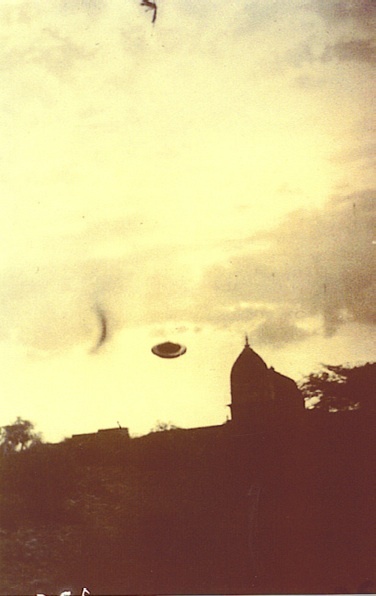 In 1964, Billy Meier was interviewed by a S. Venkatesh, a reporter for the New Delhi Statesman, a prominent Indian newspaper in existence since 1818. At this time, Meier was studying in the Ashoka Ashram, in Mehrauli, a remote area approximately one and one-half hours outside of New Delhi. Meier, whose full name is Eduard Albert Meier, is referred to as "Mr. Edward Albert" in the article. He acquired the nickname, "Billy", by which he is now widely known from an American woman he also met in 1964, in Pakistan. She thought that he reminded her of the legendary Wild Bill Hickok. 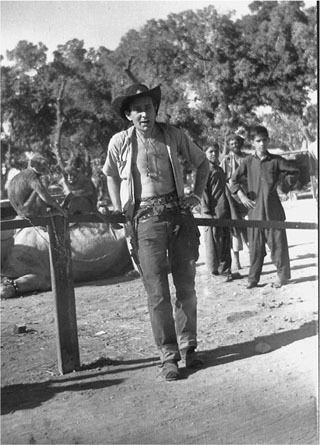 The photo below shows Meier in Pakistan in 1964, one of 43 countries he hitchhiked through over a 12-year period, dressed in garb similar to American cowboys. The above information establishes that: Meier was in India in 1964 and was interviewed in a well respected, credible publication. 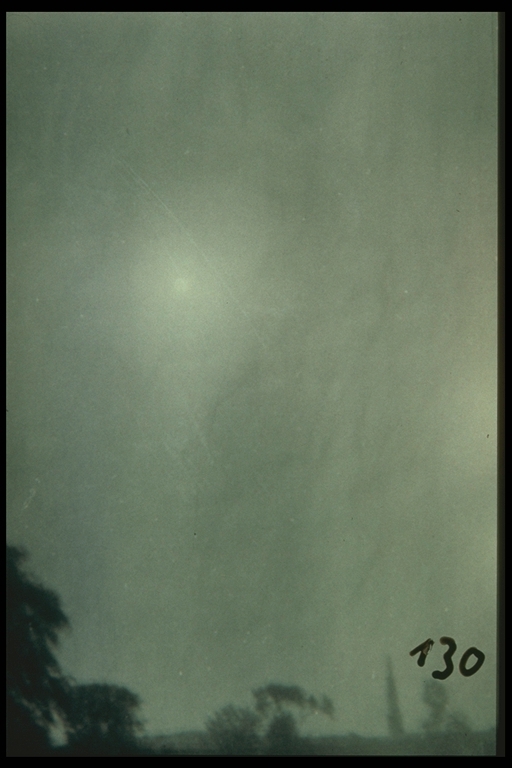 The author of the article had personally seen 80 of Meier's UFO photographs. At the time, Meier was a poor hitchhiker who had no money or other known resources. As is also stated in the article, Meier didn't seek any publicity during this time and it wasn't until 11 years later, in 1975, that he first went public, at the request of the new group of extraterrestrials who had contacted him. He verifiably had neither the means nor opportunity to have hoaxed this foundational evidence. Nor can it be said that he had any discernable motive, as he eschewed public attention for well over a decade after having shown the 80 UFO photographs to the reporter. And perhaps of the utmost importance is the fact that when Meier did go public it was primarily with the evidence from 1975 on. He didn't draw any attention - well deserved as it would have been - to this foundational evidence that effectively closes the door on all theories of hoaxing, seeking fame and fortune, etc. Considering how ironclad it is, one must wonder why Meier didn't capitalize on it from the very beginning...if his motives were such as the skeptics have long accused him. 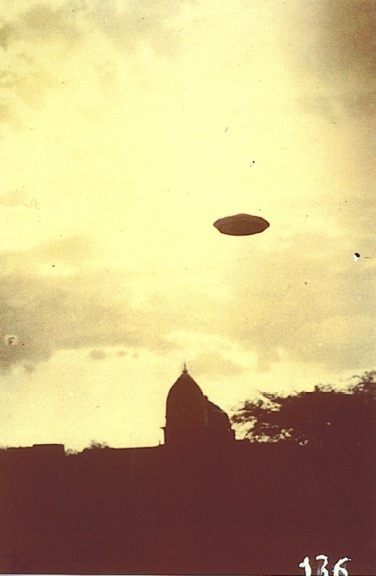 Phobol Cheng, a now retired UN ambassador who represented Cambodia for 12 years in the General Assembly, not only corroborated Meier's story, and the information in the article, she showed some of Meier's UFO photos from that time (see below) and described details about them in her filmed presentation. She reported that, in addition to herself, numerous witnesses had not only seen the UFOs but had also seen an extraterrestrial woman known as Asket. Phobol Cheng and Meier were both evaluated for truthfulness by an expert consultant to the U.S. Army Special Forces who specializes in teaching how to read - and evaluate - body language. He gave them both a thumbs up for honesty. Unlike the majority of historical source material, the Meier evidence doesn't rely on strictly anecdotal information. It incorporates all of the most desired elements for establishing historical accuracy, i.e. dated, published, eyewitness accounts that are substantiated by clear, specific physical evidence referred to in the accounts, as well as verifiably credible, still living witnesses who were filmed corroborating the story and the evidence first presented in it decades ago. In his 1964 New Delhi Statesman article, Mr. Venkatesh referred to this startling photo below as showing "a big, bright cross". Meier had asked Asket to demonstrate something dramatic that her ship was capable of, which she clearly did using a technology unknown to Meier. (There is conjecture that the cross was a kind of holographic projection, perhaps similar to that which was used by another extraterrestrial race that created the Miracle at Fátima illusion.) Notice that directly behind Meier, who is sitting in the foreground in this daytime photo, is the same tower as the one in the lower corner of the nighttime photo above (130). 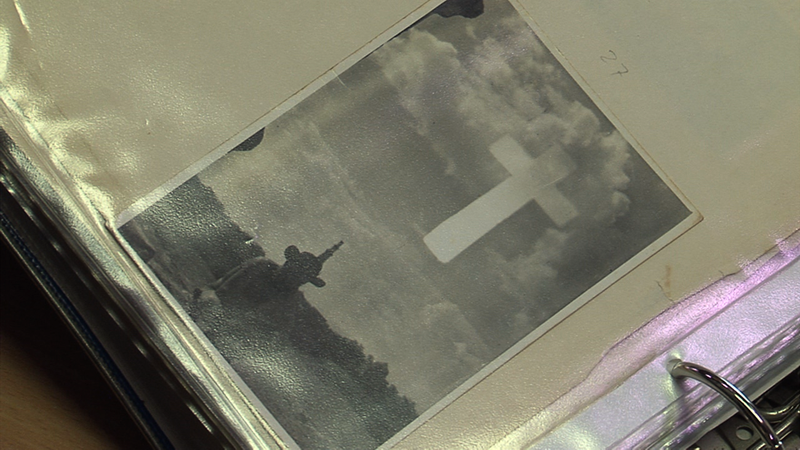 The cross was widely seen by other people in the area, including two women who worked with Meier at the ashram helping to take care of animals, Mrs. Fisk and Crystal Rodgers, both of whom were actually present with Meier at the time this photo was taken. Mrs. Fiske was an English governess who came to India to teach the children of a maharaja. She then came to the ashram to teach Phobol, but this was not for very long, because she tried to force Phobol to become an English "Lady". "Many years after the article appeared in the New Delhi Statesman, the reporter, S.Venkatesh responded to a letter inquiring about the mysterious Mr. Albert. He wrote: 'I distinctly remember meeting the man and he seemed, on recollection, very serious about what he was saying. I for one would be eager to know what he did later on, whether he encountered any more space men and ships and whether he disclosed anything to anyone later, as he promised he would.'" In 1965, a year after his experiences in India, Meier lost his arm in an accident in Turkey. Some 10 years later, in 1975, he began to release to the world volumes of the clearest, most unambiguous photos, film, video, sound recordings and even metal samples of the UFOs, all of which were shown to be free of manipulation, models, special effects, etc. It must be emphasized that the sheer variety, quantity - and quality - of Meier's more recent physical evidence exceeded anything he presented when he had two hands to work with. I think Mr. Venkatesh would have been very interested to know just how much "Mr. Edward Albert", aka Billy Meier, has indeed experienced and disclosed to the world, since their meeting in India, in 1964. And, while he is no longer amongst us to receive it, we offer our appreciation to him for providing such rare, historical evidence that at once establishes the truthfulness of Meier's claims and confronts us with the most important story in human history. Thanks to James Deardorff for all of his work on the Talmud Jmmanuel and to Mahigitam for providing additional information on S. Venkatesh. Sink Holes – More Evidence of Cause and Effect? Was First Iraq War 'Leak' by Swiss Man in...1958?